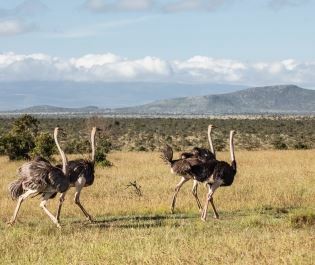 Eagle-covered cliffs and meandering valleys stretch across south eastern Kenya, creating a wilderness that delights in its primitive surprise. Hundreds of rowdy hippo crowd shrivelling springs, lions chase wildebeest deep into the bush, and Tsavo West always keeps you guessing. Often the savannah seems quiet. 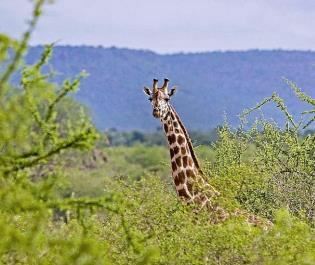 But we love how you can turn a corner and suddenly be alongside the most exquisite of safari sights. 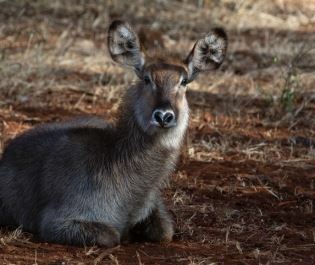 Tsavo West National Park is teeming with wildlife. Tsavo's lions are a dreamy image, their manes flowing amidst rippling dust. 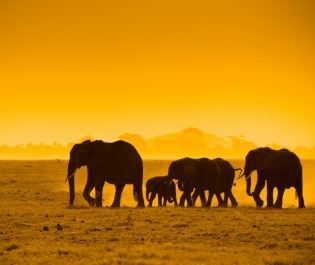 Elephants stand like sentinels, guarding the savannah and perfectly silhouetted at dusk. 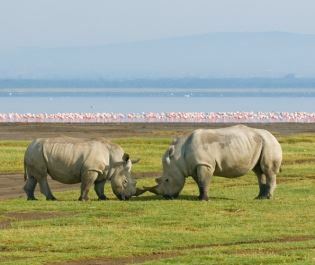 Excellent guides help you locate the park's rhinos and you can be left spellbound by the random scenes you encounter; perhaps lions snapping at a buffalo herd with crocodiles and hyenas waiting for either to make a wrong move. Don't expect to gaze across the landscape and see thousands of animals. 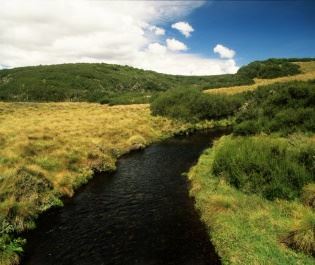 But those willing to explore will find a park that compels you to keep turning deeper and deeper into the wilderness. 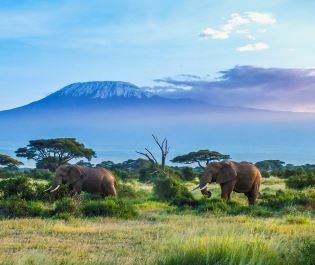 Which season is best for a safari? 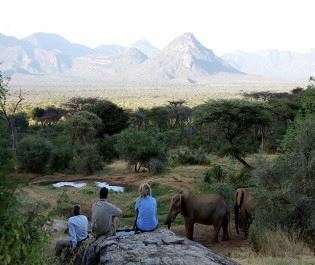 The seasons dictate the experience in Tsavo West. 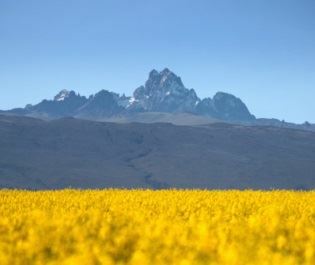 From March to June it's green and fertile, an adorable landscape filled with colour and charm. 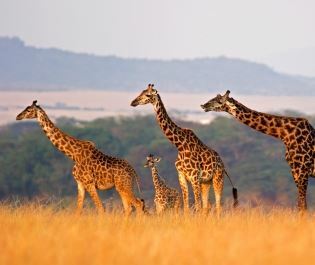 Yet it's the dry season that brings better wildlife experiences, the scorched savannah forcing the mammals to congregate around the Tsavo River and Mzima Springs. 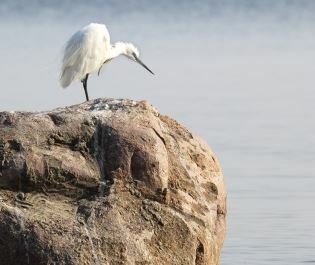 It makes game viewing easier and we've found a primitive brilliance to the rowdy battles around the water. December to February is the absolute peak time. Tsavo East and Tsavo West are divided by Kenya's main highway between Nairobi and Mombassa. 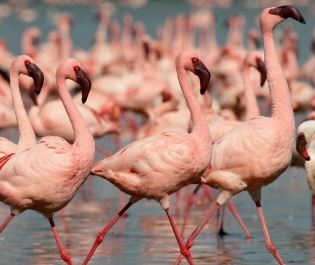 They offer similar experiences, although Tsavo West is smaller and a little more accessible, especially if you're looking for a bush and beach experience. 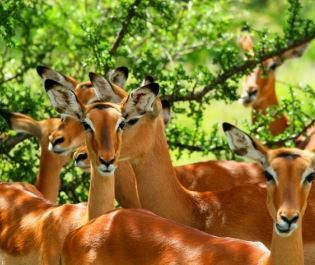 While you could visit just for the day, we've found that you really need a couple of days in order to discover the heart of the Tsavo West experience. 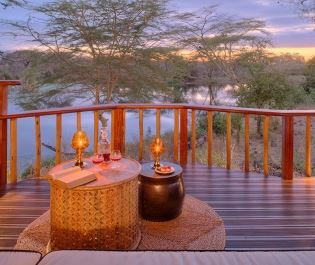 A harmonious blend of luxury camps and natural wilderness. While the surroundings are wild, the accommodation is luxurious and we can't get enough of how the contrasts complement each other. Spend a day bumping around the bush, surrounded by hippos and other giant mammals, and then spend an evening settling into the glorious opulence of some of Kenya's finest camps. It's a combination we always want to return to. Award-winning luxury lodge that evokes the glamour of old-world Africa and immerses you in endless miles of untouched wilderness. 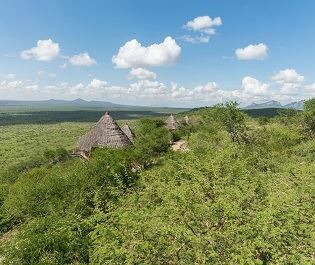 Unique lodge with spectacular views over the Kenyan savannah; provides safari activities in a private conservancy and is excellent value.